Chinese police have arrested around eight people who are suspected of spreading a malicious computer virus that displays a series of cartoon pandas on the infected PC. The Panda virus apparently steals passwords and deletes data from computers that it infects. The eight people, who are in their twenties, have been detained for writing and profiting from this computer virus that has been dubbed the “Joss-stick burning Panda”. When a computer gets infected with Panda virus, a picture of a panda folding three incense sticks flashes on the computer monitor. 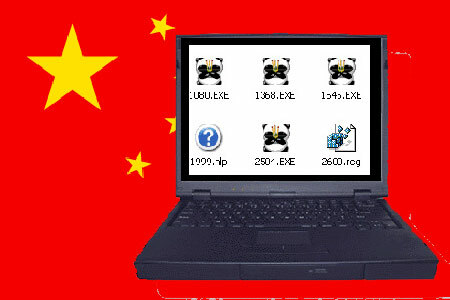 This Panda virus has already infected over a million PCs in China. The “Joss-stick burning Panda” virus can also steal the account names and passwords of online game players and popular chat sites. The provincial public security bureau says it is the first time they have made arrests involving a major Internet virus that has originated in China, and it is certainly the first time that China has ever cracked a major computer virus case. Authorities say that Li Jun, 25, a resident in the provincial capital of Wuhan, wrote the virus program, and let it loose on the Internet in October 2005. The authorities even said that Li confessed to selling the virus to 12 people for 100,000 Yuan, which is approximately $12,887 USD. Apparently, Li had also produced the “Wuhan boy” virus, the “Wuhan boy 2005” virus and the “QQ” virus which were equally dangerous.